Start. 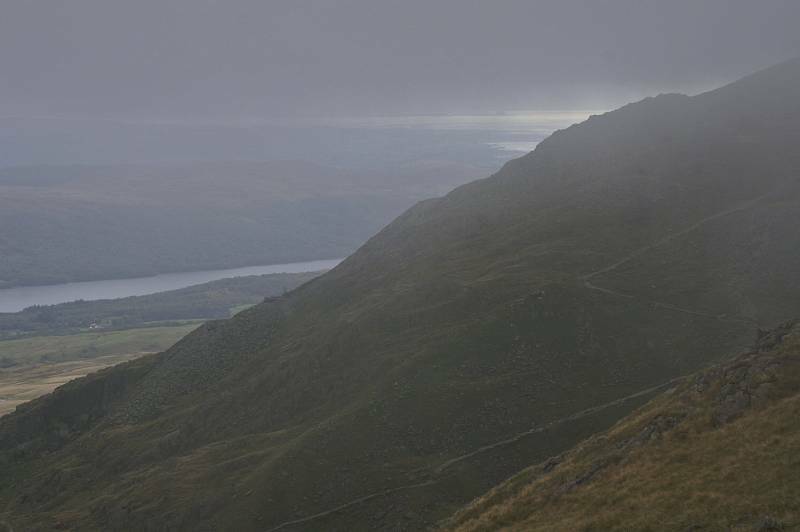 Car Park, Walna Scar Road. Route. 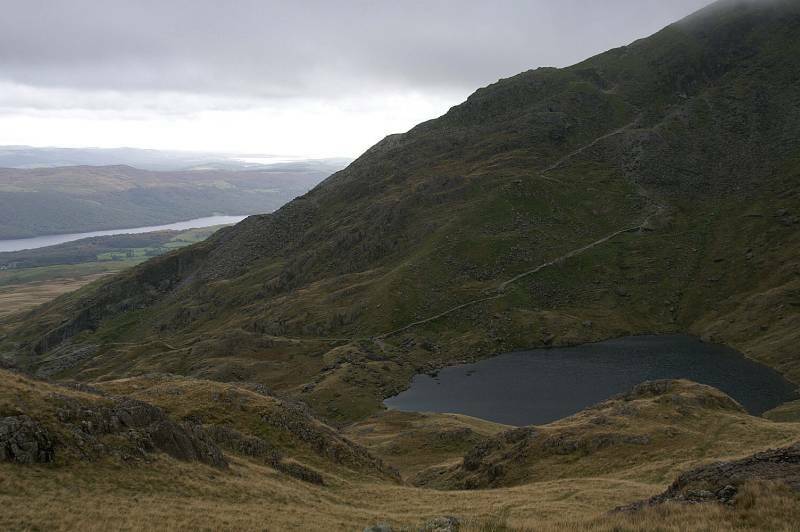 Walna Scar Road - Boo Tarn - The Old Man of Coniston - Brim Fell Rake - Low Water - Walna Scar Road. Notes. 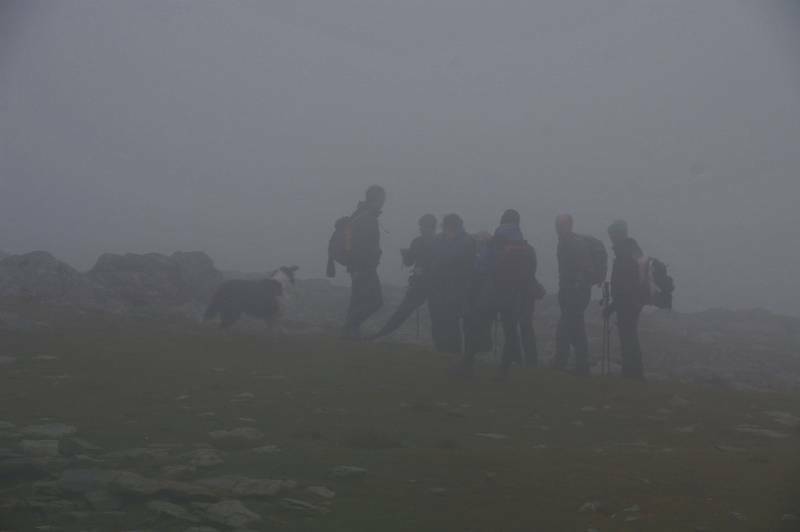 This was a first for me, walking with people, a party of Striding Edge.net fans, and dogs, we met at the top of Walna Scar Road our sights set on the summit of Coniston Old Man, if we could have seen it, it was unfortunately under a blanket of cloud. Our route followed the Walna Scar Road west until little Boo Tarn marked the start of our ascent, Sean calls this the McMahon Route it's a classic, climbing across grassy ledges steadily gaining height until we reached Little Arrow Moor, here we followed the south ridge to the summit. 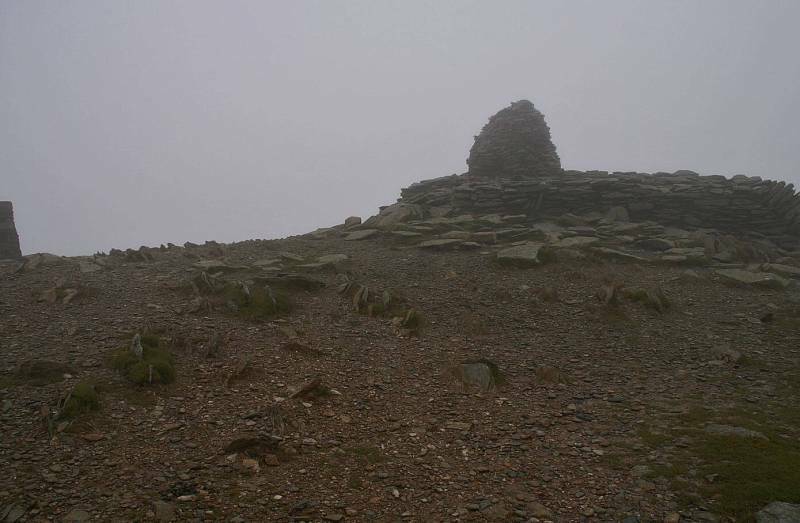 Leaving the summit walkers and dogs headed north passing the fine cairn on Brim Fell before descending Brim Fell Rake, after one awkward scramble it was grassy slopes all the way to Low Water where we stepped onto the tourist path, down hill all the way, descending through the remains of Coniston's once extensive mining industry before reaching a path junction, we turned right strolling past The Bell and the oddly named Big Hill to reach the car park. 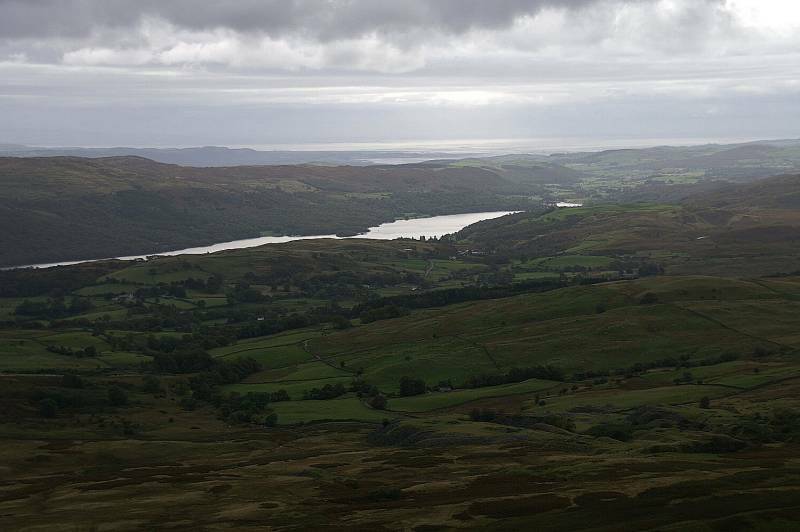 Coniston Water with Beacon Fell rising to the right. 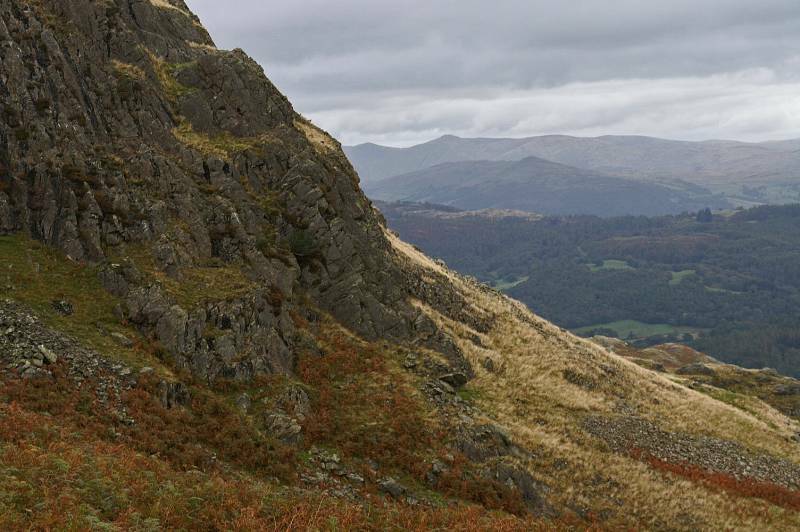 Looking to the northeast, the Ill Bell Ridge seen over Wansfell Pike. 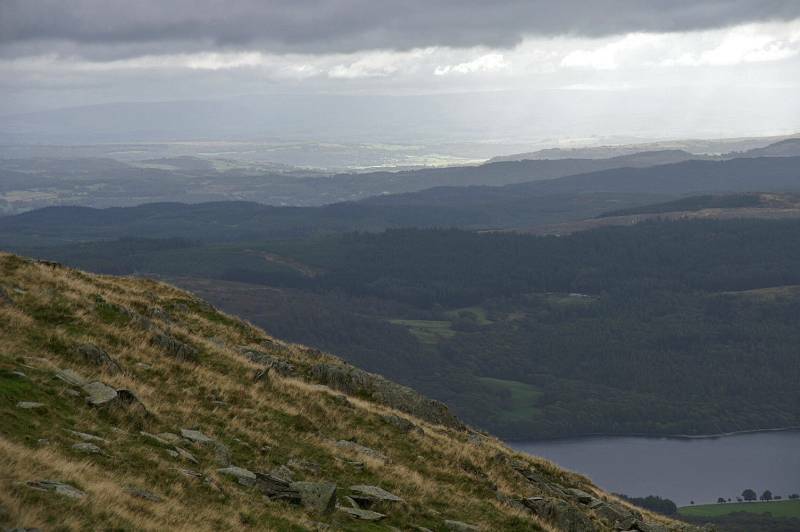 Ascending Coniston Old Man with views to the south. 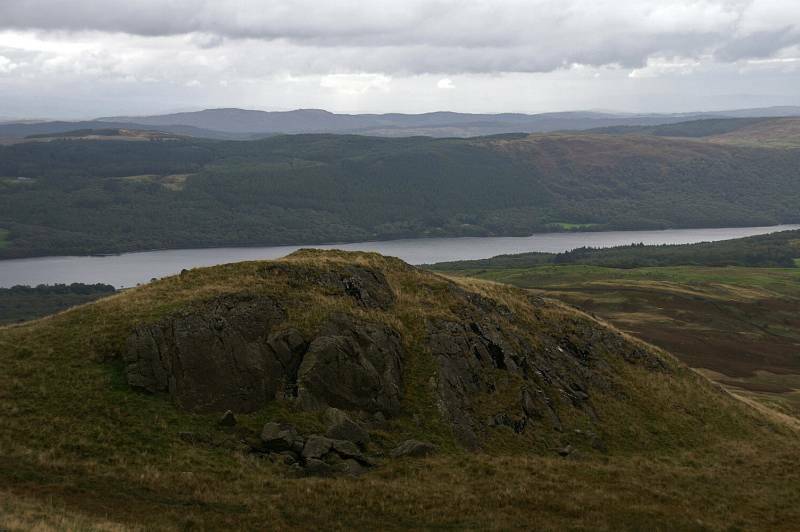 Carron Crag above Coniston Water. Sunlight on a distant Morecambe Bay. 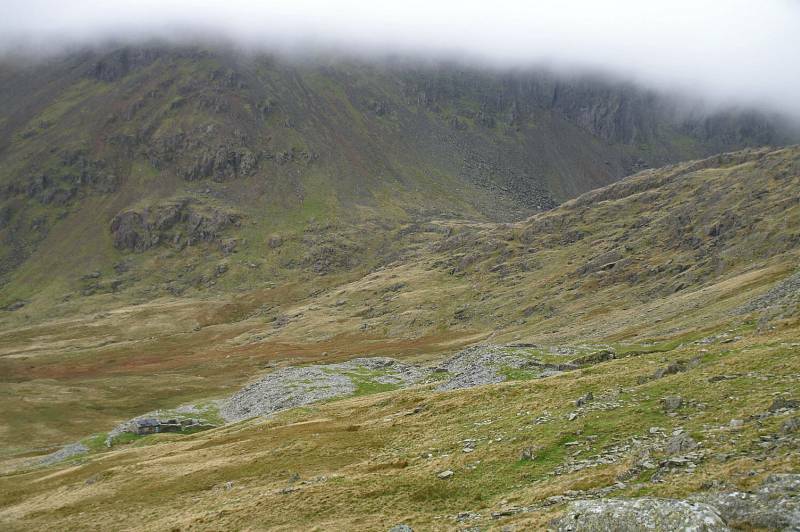 About to start ascending the south ridge, looking to Dow Crag. ....this. A touching scene members of our party visit the last resting place of Angus. 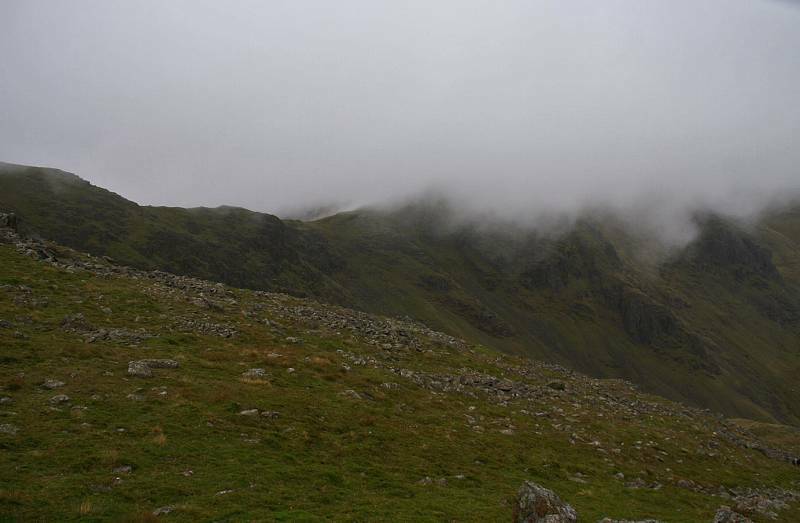 Looking to the summit of Coniston Old Man. 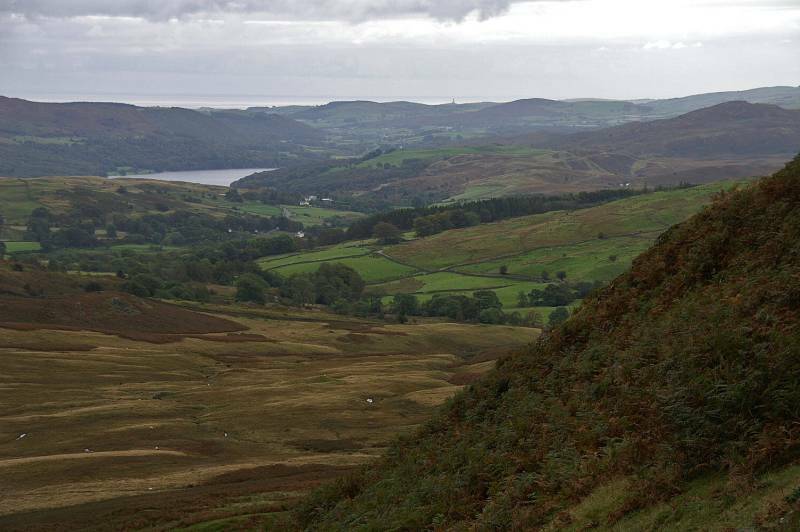 On the ridge heading to Brim Fell. 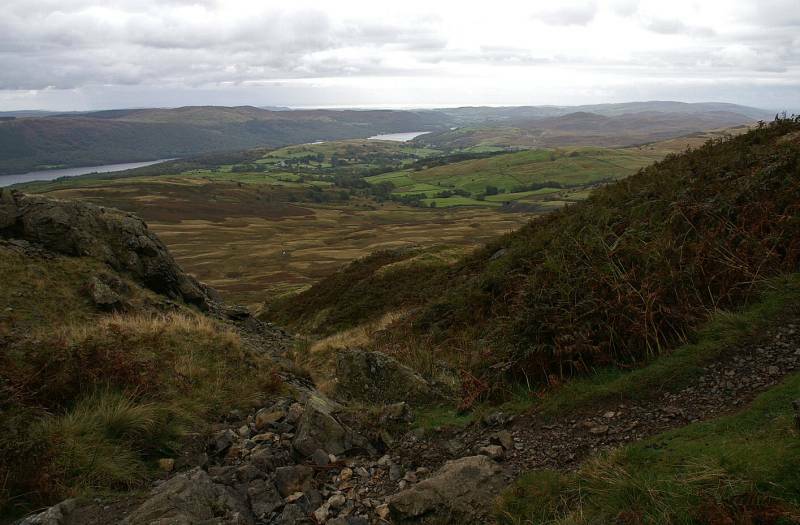 Levers Hawse seen from above Brim Fell Rake. 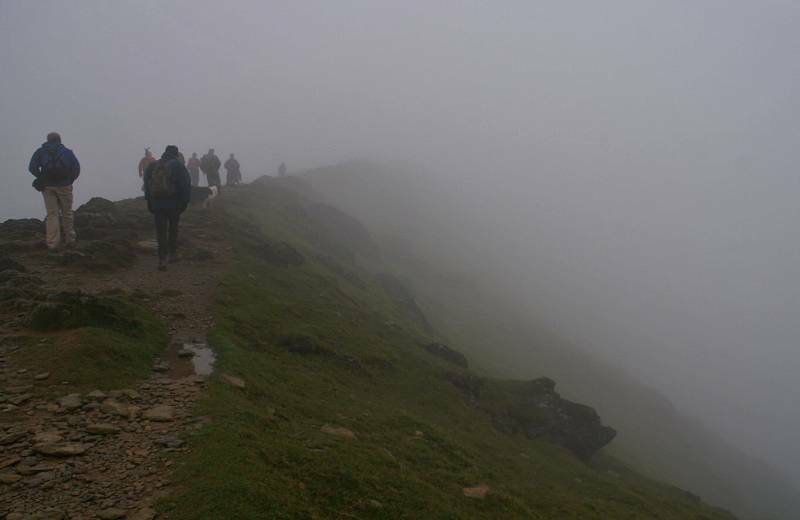 A hazy view to the tourist path. 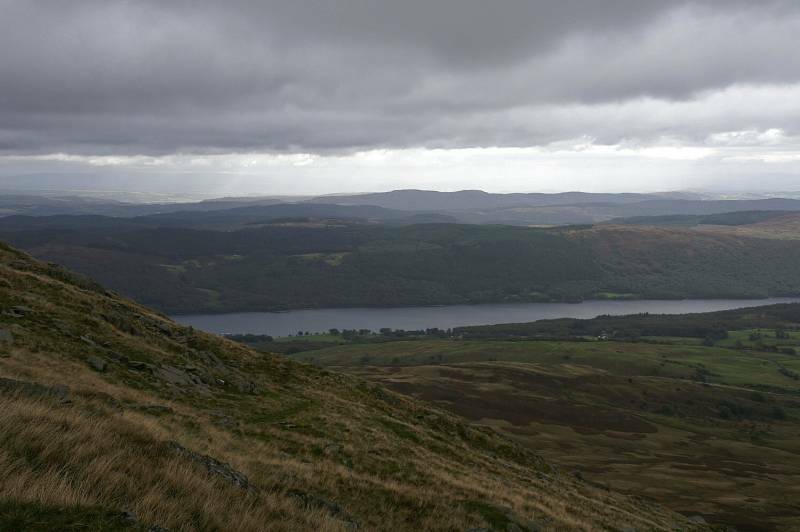 That's better, Low Water backed by the steep eastern facade of Coniston Old Man. 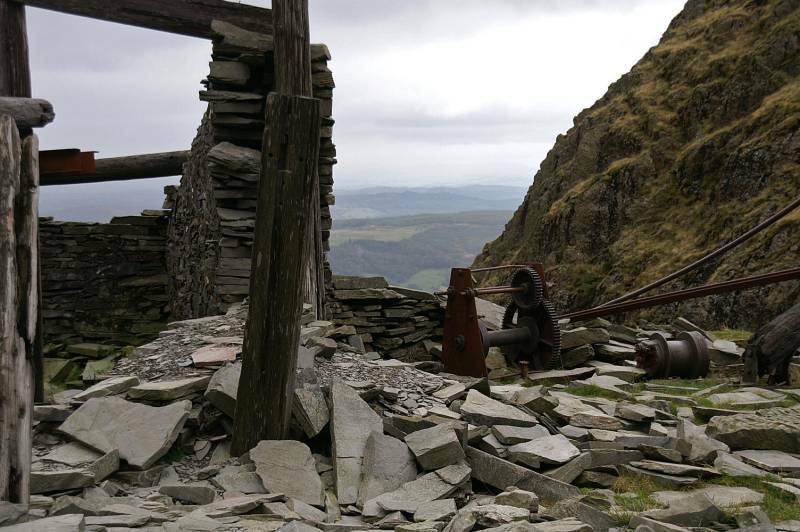 The legacy of Coniston's mining industry. 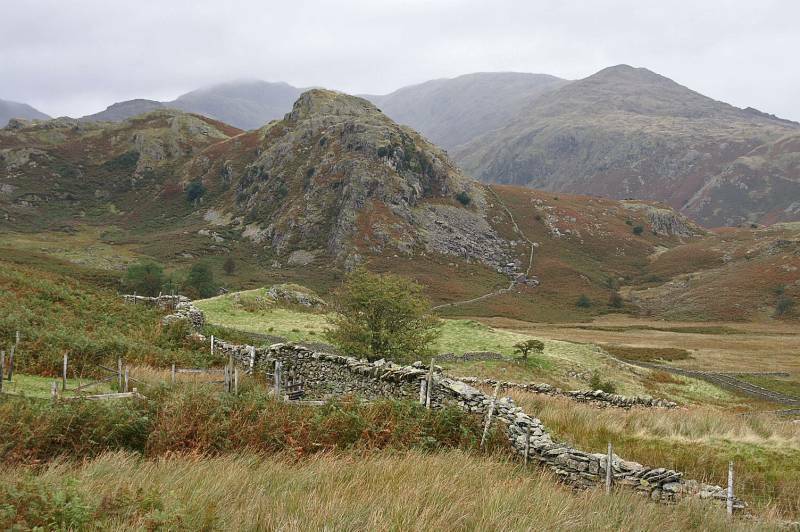 The Bell as seen from near the Walna Scar Road.